This zone is specifically set aside for our little jumpers, if you’re under 110cm then you’re welcome to come on in! This zone allows our little friends to have a place where they can comfortably jump without the worry of being bowled over by the big kids, but also create their own fun on the kid sized trampolines. There is nowhere else in Australia that you will find the colourful and playful combination of emoji cushions and pillows. Whether you want to learn a new skill or practice your old favourite, Cushion Central is the place to go! For the bigger kids who want to tumble or try a new trick, the soft cushions are the ideal place to give it a go with the large soft landing area and strip trampolines. And for the little tackers, it is a great place to have running races. Our Emoji cushions are designed for your pleasure, so feel free to post a photo on Instagram with the cushions, don't forget to tag us! Who doesn’t love jumping into a pit of over 5,000 balls!? 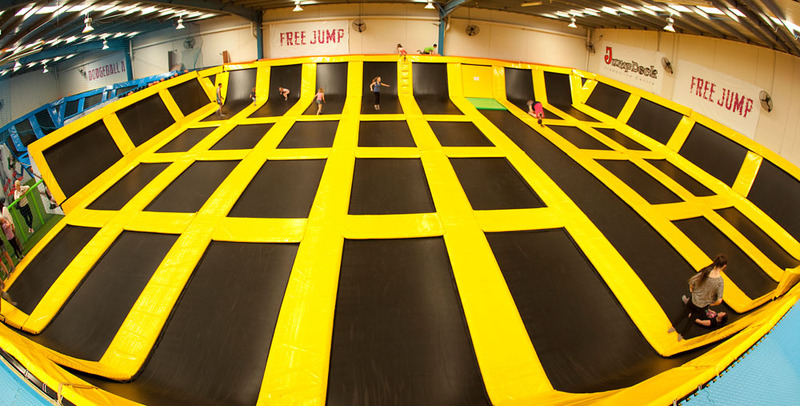 This pit is filled to the brim with our special inflated JumpDeck balls which are soft and move with you as you land. Whether you’re practicing new tricks or seeing who can make the biggest splash, this is definitely the place to be! In here you can let your imagination go wild, whether you start a ball fight with your friends, have marking competitions or races to the end, your options are endless. For our little jumpers we do ask that they are supervised in this area as the ball pit is approximately 1m deep, and if you jump in with force the balls will move and you will not float on top. This zone is for everyone who is looking to soar to new heights! With our 7 high performance trampolines, each jump is sure to pack a punch. 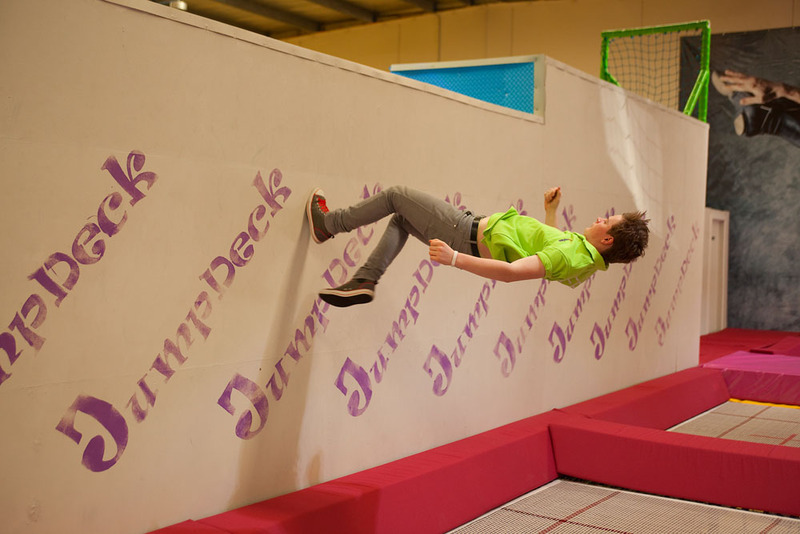 You can also try your jump against the wall, with three different height walls which you can try jump up on to, or give wall running your best shot! Also, in this zone there is a smaller performance pit which is ideal for fine-tuning your technique and nailing some gnarly tricks. The SUPER JUMP Court is designed for the jumpers over 110cm height. If Junior jumpers(under 110cm) like to jump in this area, they must be accompanied by an adult(18 y.o.+) with proper jumping socks and wristband. With 39 individual trampolines plus a full sized tumble trampoline this zone is perfect for gymnasts, cheerleaders or anyone who wants to try out some new combinations! Also, this zone is popular with the younger kids who enjoy a game of tag with their friends or a slide down our matted slides which protect the kids from any trampoline burn. Across this zone there is a volleyball net which allows the children to create their own fun! If you want to play a game of bombardment, see how many catches you can get in a row or practice your kicking over the net this is where you want to go! Even if you don’t want to use the net, this is a great place especially for our younger jumpers to have a bounce around or a run with their friends. Who doesn’t love a good game of dodgeball? Dodgeball is great fun for all ages, with either free play or sometimes organized matches, everyone is welcome to come and give it a go. You can chase your friends around, or play with mum and dad, whatever way you’re guaranteed to have a ball and maybe even a laugh or two!